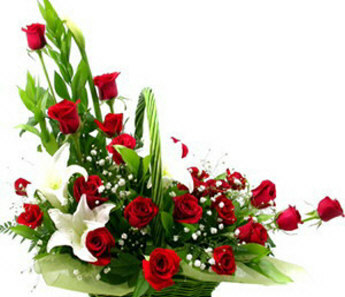 The radiance of 22 red roses,2 lilys in abasket aranged by our expert florist will definitely captivate your sweetheart. 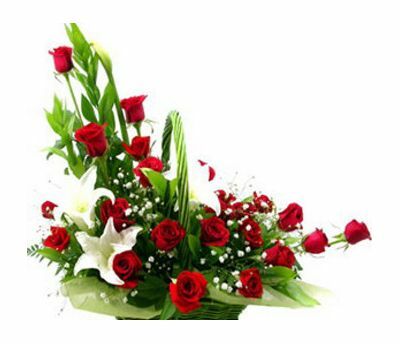 Undoubtedly, receiving the bunch of red roses on midnight through flower midnight delivery will make her smile beyond any smile. You will feel your heart close to her in case you surprise her one morning with flowers bouquet through our flower home delivery. This radiance combined with fragrance will leave you mesmerized for the day in case you send flowers with flowers same day delivery.